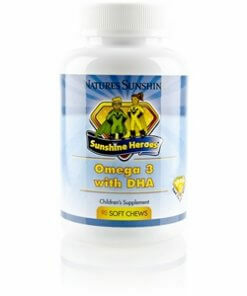 Nature’s Sunshine Sunshine Heroes Omega 3 with DHA is a uniquely formulated children’s supplement that provides omega-3 and essential fatty acids. DHA is critical for the optimal development and function of the brain, eyes, and central nervous system during infancy and childhood. These fatty acids are key building blocks in every body cell and provide the necessary health benefits for all stages of life. 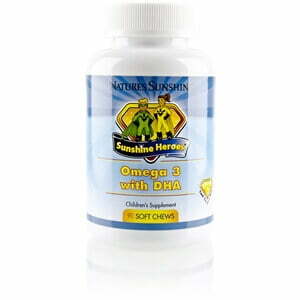 Each serving of Sunshine Heroes Omega 3 with DHA provides 100 mg DHA and 20 mg EPA from fish oil.